My original plan for the 8th stop on our 70 Day Road Trip had been to go out into the Black Rock Desert and camp on public use land. However, as the date got closer I became less and less secure in that plan, with the seclusion and being alone with four boys. So, I looked around and discovered Great Basin National Park was about the same distance away. This is one of those cases where changing you mind is a good thing. A very good thing in fact, as the boys got to see more snow, and the views from Great Basin National Park in Nevada are fantastic! Great Basin National Park is full of fun things to do. There are two visitor's centers for starters, one at the entry to the park where you can find information on the Great Basin itself, and another up by Lehman Cave where you can make arrangements for a cave tour, see a short film on the Great Basin and the park, and learn more about the area. You will also find a cafe here, with very reasonable prices. P.S. They sell delicious hand scooped ice cream! Camping is available in four different campgrounds. On the Wheeler Peak Scenic Drive, you will find Lower Lehman Creek, Upper Lehman Creek and Wheeler Peak Campgrounds in that order. The fourth is Baker Creek Campground, and is the only one not located on the Wheeler Peak Scenic Drive road. The road between Upper Lehman Creek and Wheeler Peak Campgrounds is closed to vehicles over 24 feet long, so as much as we wanted to stay at Wheeler Peak because it was beautiful, spacious and snow covered, we ended up at Upper Lehman Creek. The water was not turned on for the season, but rates were only $6 per night because of this. Water can be filled at the visitor's center. There is no power at the campsites, and vault toilets. When water is on at the campgrounds, expect to pay $12 per night for a campsite. Hiking is available throughout the park, but be aware that trails up by Wheeler Peak may be covered or partially covered in snow until late June. We did he Bristlecone Trail trying to get to the Bristlecone Trees that are over 4,000 years old, but had to change plans and visit sub-alpine lake Teresa instead since the last part of the trail was completely covered in deep snow. The Lehman Cave is a real treat for visitors, and cave tour prices are really reasonable at just $ for adults and $ for kids for the 90 minute tour and $ for adults and $ for kids for the 60 minute tour. Tours are available daily throughout the day, and leave from the Lehman Cave Visitor's Center. I thought this looked like a heart. A rarely seen cave formation, a shield. If you have a choice of when you visit Great Basin National Park, be sure to do it on a Tuesday, Thursday or Saturday and take advantage of their night sky program. It is incredible to learn more from the knowledgeable "Dark Rangers," and the point out different things in the night sky for viewing through their high powered telescopes. On other nights, you can take advantage of ranger programs that are held usually in the campground amphitheaters. We attended one on survival camping, and it was awesome. Great Basin is a relatively new National Park, founded in 1986, but it is full of various landscapes and intriguing views. If you choose to visit here with your family, you will not regret it. 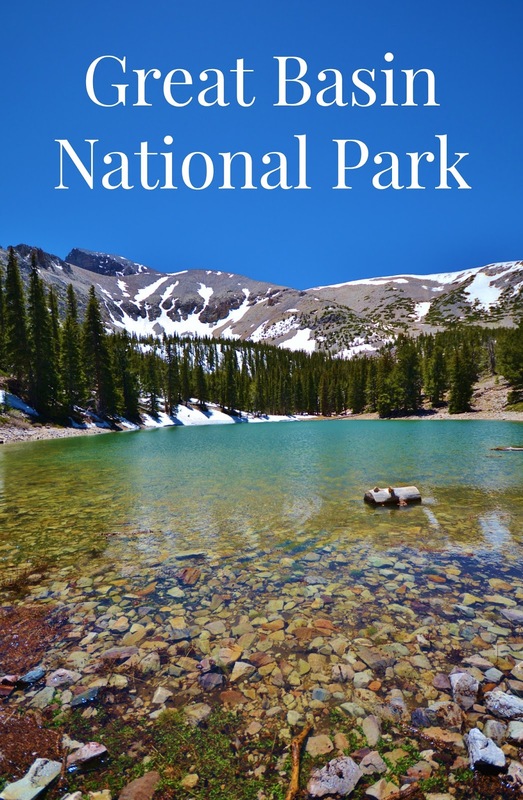 For more information, you can visit the Great Basin National Park website. You got some really great shots! Those bristlecone trees are just beautiful, as is the rest of the park. Such gorgeous photos! You guys have explored so many great parks! Love it! Looking at all your adventures makes me want you to come adopt me! Hahha even though I am not a kid, I could fit in well, this looks like such a beautiful trip! I love the tree pictures! I'm so jealous of your trip! That looks like a gorgeous place to visit!